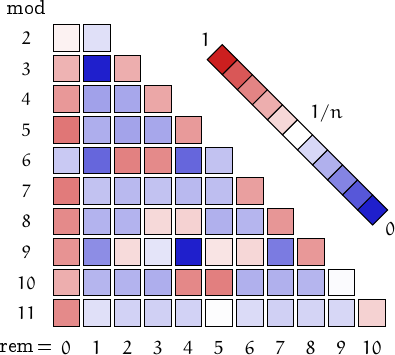 Two numbers form a betrothed pair if the sum of nontrivial divisors of one number equals the other, i.e., if and . 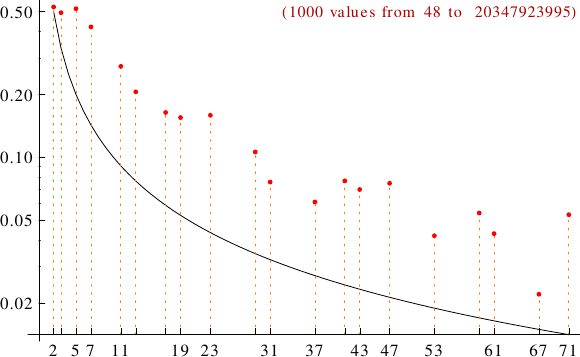 A graph displaying how many betrothed numbers are multiples of the primes p from 2 to 71. In black the ideal line 1/p.